Thread: Get Internet Download Manager license FREE! We are pleased to offer 20 licenses of the latest Internet Download Manager v 5.18, FREE to the readers of The Windows Club ! Version 5.18 adds IDM download panel for web-players that can be used to download flash videos from sites like YouTube, MySpaceTV, and Google Videos and supports Windows 7 and Vista. Internet Download Manager costs $29.95, but 10 licenses are being made available free to you, the members of The Windows Club Forum. To win one simply make a request below stating why you need one. The winners will be selected randomly, an your mail id's forwared to the company, who will then forward the license to you. TWC readers have been reserved another 10 licenses here. The giveaway will be kept open for a week. Special thanks to my MVP colleague Ankur for suggesting that I contact IDM; who were gracious enough to sponsor the 20 licenses for TheWindowsClub.com. niel28 and Blasius like this. saurav and karansaini like this. Finally there is a chance to register my IDM. I have used IDM trial version for a long time, and its really great at speed at my 128KBPs connection it manages to give me 24KBps download speed while orbit gives me 22KBps. I would like to have it. Please count me in. This is a dream come true. I have been looking at Internet Download Manager for some time. This would be a great New Years Present!!! I used different kinds of download manager before because I only have a 384kbps internet connection speed. 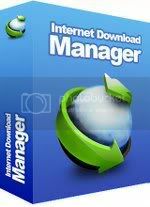 Download manager is a must to manage downloads especially with resume support. And Internet Download Manager is the one who noticeable speed among the rest. I only used freeware for managing my download. Hi Andy, thanks a lot for this generous offer. I've never used IDM, but everybody says it is excellent. As I spend most of my free time downloading stuff, this would probably be extremely useful. Please count me in. Tanks in advance and ... Happy 2010! I always heard good things about the IDM, i never had the opportunity to use it because it was paid,,, this would be a great opportunity for me to test it !